Regular Crime Watch readers may have noticed a lot of 2010 Global Reading Challenge related posts earlier this year, particularly from January-May. The Global Reading Challenge is a fantastic web-based initiative sparked by fellow crime fiction enthusiast and blogger Dorte Jakobsen of Denmark-based DJ's Krimiblog. There are more than 100 reviewers participating. Extremist Challenge: three novels from each of the six main continents, two novels which are set in Antarctica, and one 'wildcard' - a novel from a place or period that is NEW to you (21 books). I finished the Expert level in early May, and so then after a bit of a break where I was concentraing on reviewing new books from authors I was interviewing, and helping with the organisation of the inaugural Ngaio Marsh Award for Best Crime Novel, I have turned my sights on the new 'Extremist' level that Dorte added. And as Dorte has said, "If you are really an extreme reader, you will do your best to read novels from 21 different countries or states". 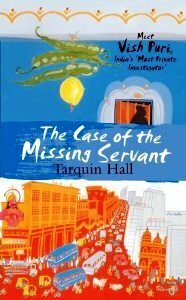 "The portly Vish Puri is India’s most accomplished detective, at least in his own estimation, and is also the hero of an irresistible new mystery series set in hot, dusty Delhi. Puri’s detective skills are old-fashioned in a Sherlock Holmesian way and a little out of sync with the tempo of the modern city, but Puri is clever and his methods work. The Case of the Missing Servant shows Puri (“Chubby” to his friends) and his wonderfully nicknamed employees (among them, Handbrake, Flush, and Handcream) hired for two investigations. The first is into the background of a man surprisingly willing to wed a woman her father considers unmarriageable, and the second is into the disappearance six months earlier of a servant to a prominent Punjabi lawyer, a young woman known only as Mary. The Most Private Investigator novels offer a delicious combination of ingenious stories, brilliant writing, sharp wit, and a vivid, unsentimental picture of contemporary India. And from the first to the last page run an affectionate humour and intelligent insights into both the subtleties of Indian culture and the mysteries of human behaviour." 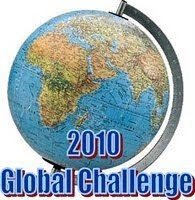 Are you part of Dorte's terrific 2010 Global Reading Challenge? Do you try to read crime and mysteries from a variety of countries? Have you read any of the Vish Puri series, or other Indian/Asian-set crime fiction? Does it interest you? Craig, I've got a Vish mystery on my nightstand, too, and am hoping to get to it soon. I'm not doing Dorte's challenge, but it's had an influence anyway, because other people are reviewing books that sound good, so there's an indirect impact. :D I definitely have been reading more mysteries set in other countries this year. I think ´reading extremism´ is such an appealing addiction! Will you addicts need a new fix next year, or was this just a 2010 thing? I haven't really been doing the challenge in a formal sense but I've been reading crime novels from a large number of different countries this year. The latest which I've just finished is "I Kill" by Giorgio Faletti which is set in Monte Carlo. I would certainly recommend it. Read it in one go.